UPDATE: Amended graphic to read HONG KONG not HONK KONG. Money, eh? When it’s in your pocket it seems constant in value, but when you start comparing it to coins in pockets around the world, it seems to be worth more or less than before. 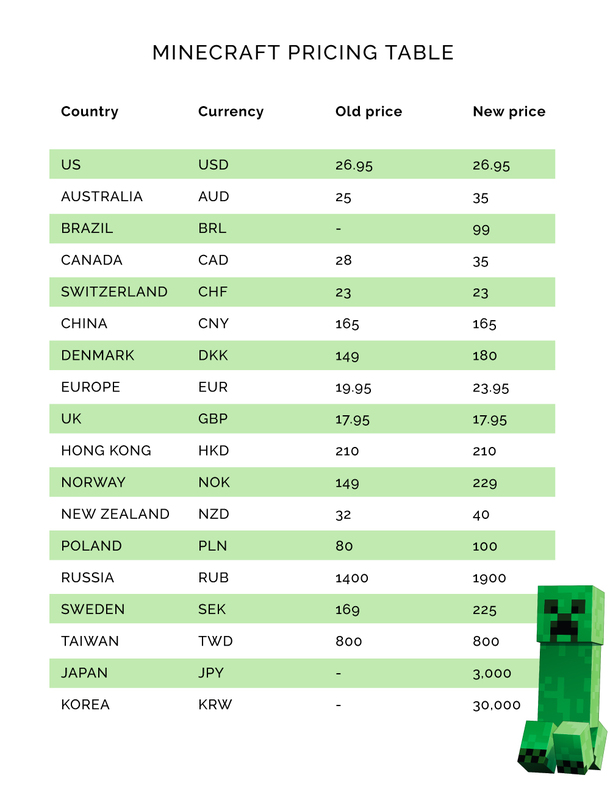 Anyway, in the spirit of currency exchange, we’re changing the prices of Minecraft in different regions so they align with the United States Dollar. The new prices will take effect on May 23. Please note that this applies to Minecraft for PC (the Java version), and not the Console and Pocket Editions. 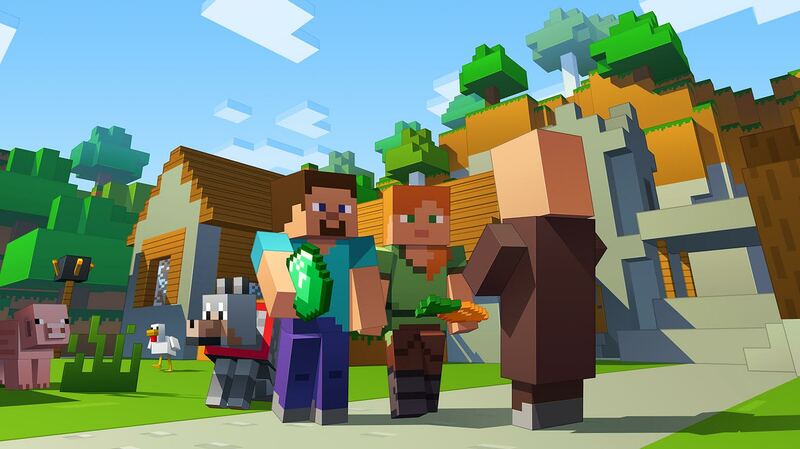 If you haven’t bought Minecraft yet, it might be worth purchasing in the next week if your pocket money allowance isn’t aligned with the United States Dollar. You could end up saving yourself a pretty penny. You may notice that some regions don’t have an old price listed below. That’s because Minecraft hasn’t been on sale in that currency yet. Welcome to the fold, Japan, Korea, and Brazil. Hope that’s not too confusing! Hey! And thanks for buying Minecraft, no matter which bit of the world you’re from.